A good night for THE NIGHT SHIFT. NBC: HOLLYWOOD GAME NIGHT was up 0.1 to 0.9, but THE WALL fell 0.1 to 1.0. THE NIGHT SHIFT had its best outing of the summer, up 0.1 to 0.8. 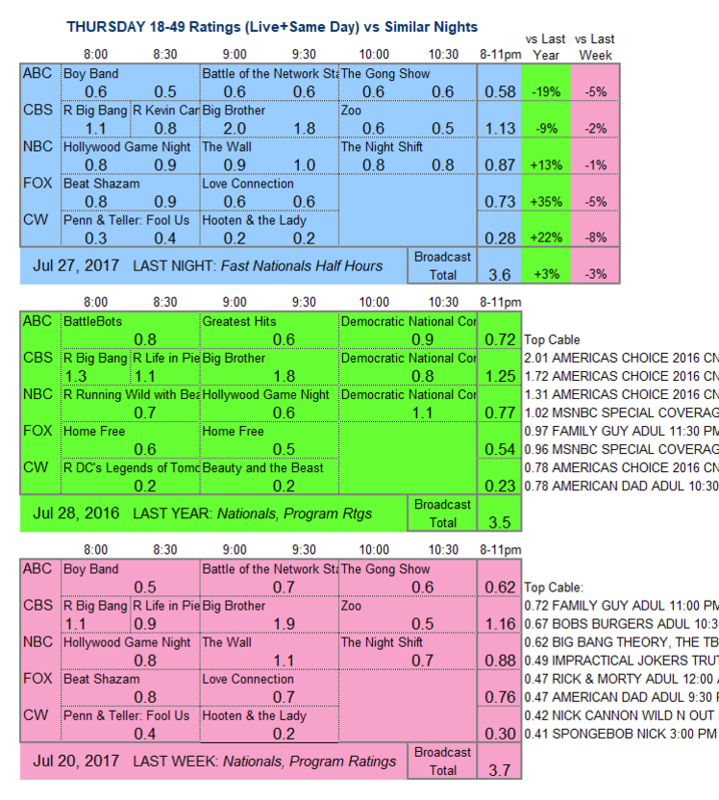 CBS: BIG BROTHER held last Thursday’s 1.9, and ZOO rose 0.1 to 0.6. The night started with 1.1/0.8 sitcom reruns. 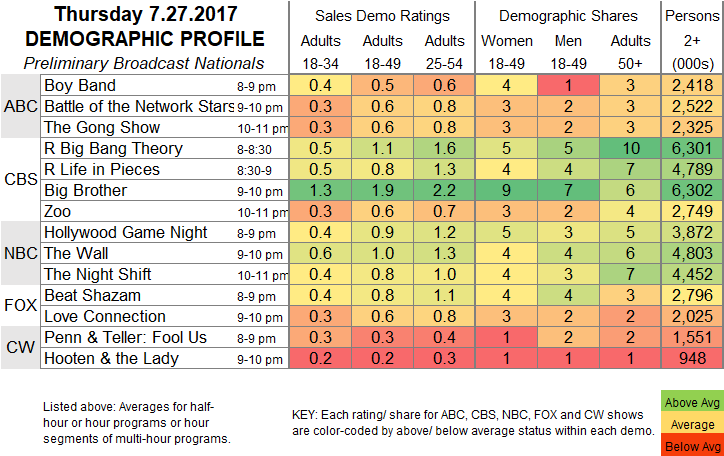 ABC: BOY BAND (0.5) and THE GONG SHOW (0.6) were steady, but between them BATTLE OF THE NETWORK STARS lost 0.1 to 0.6. FOX: BEAT SHAZAM stayed at 0.8, but LOVE CONNECTION fell 0.1 to 0.6. CW: PENN & TELLER: FOOL US dropped 0.1 to 0.3, and HOOTEN & THE LADY remained at 0.2. Tonight, HBO premieres its half-hour late-night Duplass Brothers anthology series ROOM 104.